I'm not really an expert on Eurovision cover versions - there are other people who know much more about that particular field of expertise - but I do know that I like a cover version now and then. Especially when they are slightly odd. This particular oddity comes from Germany, and is a German language version of the 1972 Dutch entry of the Eurovision Song Contest. 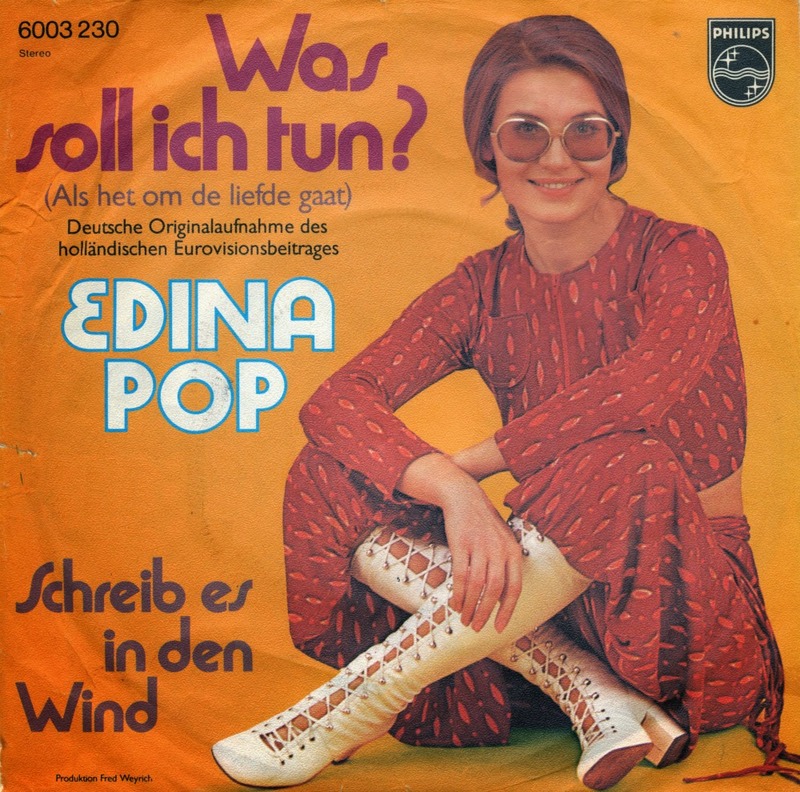 Edina Pop is the stage name of Marika Késmárky, who was born in Budapest on February 4, 1941. She came to Germany in 1969 and started her singing career in German shortly afterwards. She appeared in the German national final for Eurovision in 1972 with the song 'Meine Liebe will ich dir geben', but she didn't win. She recorded this single. Whether this was a chart success in Germany remains unknown.